Dr. Skaribas and his patient, Denise, talk about how the DRG Stimulation procedure can help patients with Complex Regional Pain Syndrome. This first-of-its-kind device can target specific areas of the body where pain occurs. As a result, DRG stimulation gives physicians the ability to provide pain relief to patients with neuropathic conditions otherwise underserved by traditional spinal cord stimulation (SCS). This therapy provides an exciting new treatment option for patients who suffer from chronic lower limb pain associated with complex regional pain syndrome. 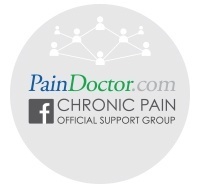 It’s especially important for patients who have tried multiple treatment options before without receiving sufficient pain relief.